On the day of the wedding Nicola arrived early which put me at ease. She went above and beyond to ensure that myself and my Bridesmaids hair and makeup was perfect. I can't thank Nicola enough for making me feel so wonderful and beautiful on my wedding day. I would definitely recommend and would use her services again in the future. As soon as I met Nicola at a Wedding Fair I knew she was the one to do my make up & Hair for my wedding. She understood exactly what I visioned for the Bridal party and listened (rare in the wedding industry lol). She keeps in touch through the run up to the big day, for timings on the day, arranging a trial for Brides Hair and Make up and turns up well on time to get ready on the morning (essential). Nicola settled my nerves (& slight hangover) with her laid back calm attitude which is exactly what I needed. All timings were bang on time for all 5 bridesmaids, Mother of the Bride & Me (Bride) to get on our way. Nicola was so helpful whilst getting dressed, putting my veil on my hair and making sure I looked the part, she was wonderful to have around and apart of the morning. does and this is evident in the service she provides. She gave great advice and reassurance from the trial to the big day. Nicola was professional, friendly and efficient. She did a fantastic job on me and two of my bridesmaids, in spite of all the flapping about that was going on around her. She was also very kind to me while I was telling her I wanted one thing whilst meaning something else entirely and got the look bang-on on the day! Nicola is truly the most talented makeup artist I have ever met twinned with her wonderful hair styling skills. 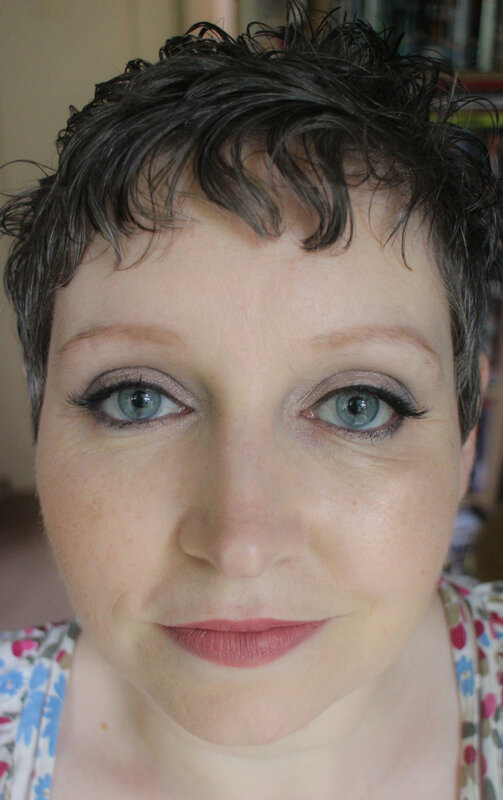 Nicola is a very responsive and kind lady, she was open to making recommendations as I wasn’t sure quite what would suit me for my wedding reception makeup and hair. We spent time experimenting in my trial with different looks and she made me feel beautiful. Nicola went above and beyond to achieve the perfect look and honestly I was astounded by the end result! I never knew I could look as amazing as I did. I would happily recommend anyone to Nicola who is in need of a makeup or hair superstar! I couldn't recommend Nicola highly enough! She did an amazing job of both hair and makeup for myself, my mum and maid of honour. The makeup was perfectly tailored to suit each of us, expertly applied, lovely and natural but also stayed on all day! And our hair was simply lovely - Nicola listened carefully to what we'd all like and we even changed my hair on the day to something completely different from the trial!! She didn't bat an eyelid though! Nicola did a great job for my wedding last month- was really pleased with my hair and make up, and she was also friendly and easy to communicate with. Would thoroughly recommend! I was recommended Nicola by someone and after the initial trial I knew I had found my hair and MUA! She was brilliant even when I could not make up my mind she was there to reassure me it was going to look great. On the day she not only nailed my look she was able to do it exactly how I wanted it even when I wasn't able to describe it! Her team also did an amazing job on my mum and my bridesmaids who looked amazing on our wedding. I would recommend Nicky to everyone I know! Nicola was just great. I was after a 1920s/30s look for my wedding and she did a fantastic job. I had so many compliments and loved my look. My bridesmaids looked great too and our hair and make-up lasted all day. Nicola was lovely, really friendly and professional throughout and I'd definitely recommend her hair and make-up service for your wedding. Nicola did hair and makeup for me and my mom and we were so happy with the results. She listened to what we wanted and came up with a look we both loved. The makeup and hair lasted all day and night. She is also super friendly and lovely and I highly recommend her. I met Nicky at the EWE wedding fair and it was clear she had a great mix of vintage and contemporary ideas and a creative flair. As a lover of make up and someone who has their hair and make done a lot this was very important to me. I was impressed with her portfolio as well as I could see she clearly changes her style according to brides styles and for bridesmaids and Mommies, etc. My trial was great, Nicky really understood what I was after and got my hair and make up perfect. She gave me a lot of confidence in my choices and she is also very personable and easy to get on with. On the wedding day she was brilliantly calm and organised. Ready to lend a hand to anything required and clearly an expert in getting people ready for weddings. She did a lovely job of the hair and make up and was more than happy to listen to us and tweak as well as being extremely professional and having high standards . We welcomed her creativity. I didn't worry about my make up all day, I didn't touch it once or even check it in a mirror. My hair didn't move. I felt amazing! Like a 1950s Hollywood Star. 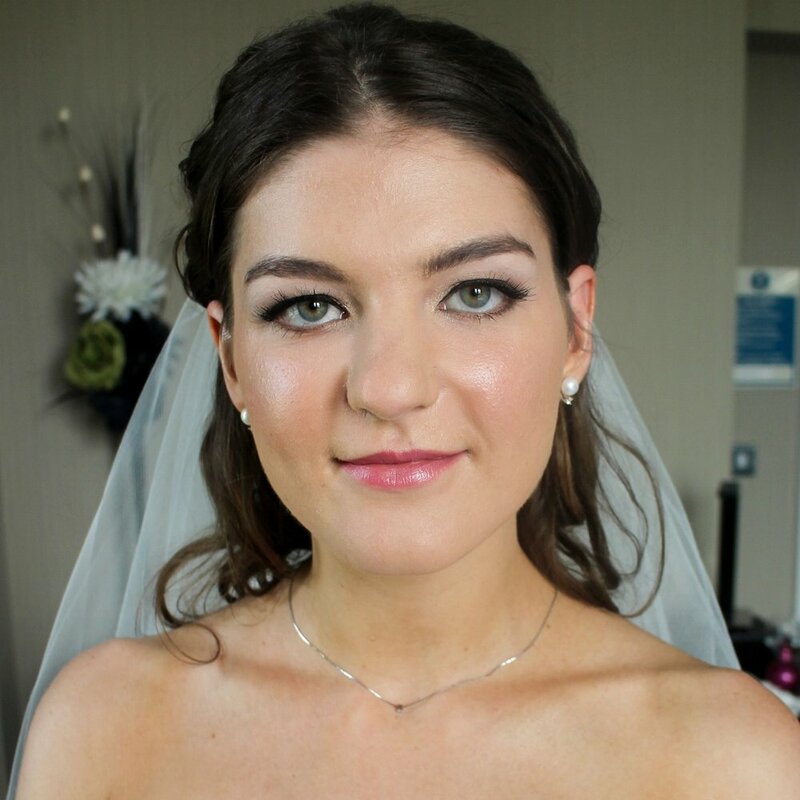 I booked Nicola for my wedding hair and makeup, she is amazing at what she does. I went equipped with a few images not really knowing what I wanted, and she guided me through what would work well. Through both the trial and the wedding morning she was friendly, and efficient, getting me and my bridesmaids ready early enough that the morning was chilled and enjoyable! My hair and makeup was just perfect, and lasted all day long! Really highly recommended! Thank you Nicola! Nicola is simply fantastic at what she does! I booked with Nicola for the morning of my wedding for me, my bridesmaids and both mums to have our makeup done and we had the best start to the day possible! All the ladies in the bridal party are different in terms of style and colouring and every single one of us looked absolutely amazing without being over done - just the best versions of ourselves! Without any prompting my husband said that Nicola had 'nailed it' with my makeup, he was really impressed. Nicola really listens to what kind of look you're going for and is so talented. On top of all that she is just lovely to be around! The lead up to the wedding was brilliant, all communication was great and the trial was brilliant to figure out what we were going for on the day. I am so happy and relieved that I found Nicola to be our wedding make up and hair artist. I got married last September and from the moment I met Nicola in my trial, she was so professional, inspiring and so talented! I felt so relaxed on the morning of the wedding day because in the trial she created my dream look of 'vintage glamour' within no time. She made sure I was happy and comfortable throughout the morning which so lovely of her. She knows her stuff and was always so accommodating to make my bridal 'look' was perfect before I went down the aisle. My husband LOVED the look she created too ( there were a few tears teehee) If you want a very creative and lovely artist to help make your wedding hair and makeup complete, Nicola is your gal! Nicola was really lovely and helpful in the run up to my wedding and an absolute professional on the day. 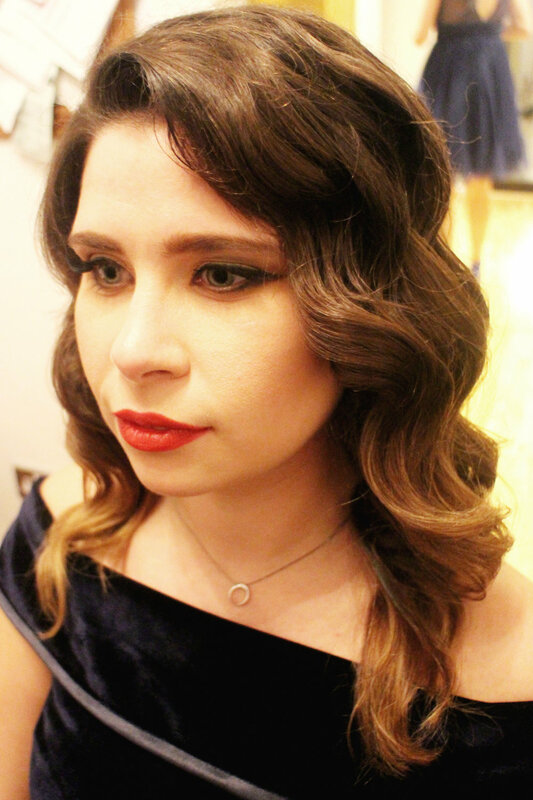 I was so happy with my hair and make up - it was exactly what I wanted. Just wanted to say a massive thank you for all your help on my wedding day. The makeup looked amazing and stayed on all day and I had loads of compliments. Huge thank you also for helping me with my dress. The day went so quickly and perfectly and followed by a wonderful week in Majorca. Thanks again for everything and it has been lovely getting to know you . Wishing you a lovely time away on your travels. Nicky was fantastic on my wedding day and in the build up. The trial was great in order to work out what I wanted and whether it would suit me. Nicky gave really good feedback so I could make the best decision for the day. On the day she was punctual, organised and most importantly helped keep me really calm. She was very patient and reassuring. I was thrilled with the results and really felt at my best. Would definitely recommend her! 10/10. Nicola was a fantastic person to have for hair and make-up. She did hair for 7 people and make-up for 3 people (including myself) on my wedding day. By the end of the night, there wasn't a single hair out of place and the make-up was still flawless. She listened to what I, and my bridesmaids, wanted and made us all feel beautiful. Just a quick email to say thank you, so much, for all your hard work for our big day. "Thank you so much for doing my hair and makeup , everyone said I looked amazing! I will recommend you to everyone!" Absolute find. Couldn't be happier with my wedding hair and makeup. The bridesmaids looks stunning too. Just perfect. Nicky made me feel a million dollars. And was amazing to have around before the big event. Just brilliant! THANKYOU so much Hun. You made my day. I don't even have enough good things to say about Nicky, booking her to do my makeup was one of the best things I ever did! As someone who bothers to spend time doing my makeup every day, I was nervous about giving someone control over my look and consequently seeing someone I did not recognize in the mirror. I needn't have worried. Nicky completely understood I wanted to look the way I usually do but a perfect version. She did my makeup , my four adult bridesmaids, my mom and my junior bridesmaid. Everyone looked flawless! and other than applying lipstick a few times during the day it did not budge. She is also incredibly calming and fun to have around on the morning of the wedding. I would recommend her to everyone! Thank you Nicky , you are a superstar! A- freaking-amazing! Thankyou so so much for being so fantastic on my wedding day, my makeup looked great, lasted all day and was exactly what I wanted. We have also just had our engagement photos back - went there after my trial and my makeup looks awesome in the photos. You are a legend! I would recommend you to everyone and everybody! Loved that you were part of the morning you felt like one of the girls, thank you, thank you. Now get booking that flight to Oz!! My make up and hair was fab, I felt a million dollars after having my hair and makeup done by Nicola. She’s such a friendly person, she really listens to what you want and she gives you loads of styling tips.